The big news ahead of the European Cup quarter-final draw was of Real Madrid’s defeat in the previous round. They had been the only winners to date of the competition and so in 1961 there would be a new name on the trophy with Burnley now having been installed as second favourites behind Barcelona, the Catalan team having beaten Real Madrid in the previous round. For a team playing in the competition for the very first time, and having won its one previous round, this was some position to be in, and when the draw was made we did at least avoid the Spanish champions. We’d drawn one of the biggest clubs in Europe in terms of their playing numbers and each Sunday they fielded no less than 24 teams. They, like Burnley, were a club that relied on young players coming through the system with their star players at the time being the young centre-forward Uwe Seeler and his brother Dieter. 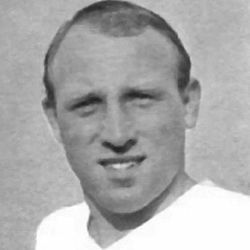 Interestingly, in 1960, Seeler, like all West German players, was part time and he worked as a salesman to boost his football income of no more than £500 per year. That reputation had seen them beat Young Boys of Berne in the previous round by an aggregate of 8-3. They won the away leg 5-0 with goals from Klaus Stürmer(2), Seeler(2) and Klaus Neisner. The 3-3 draw in Hamburg saw Stürmer again on the mark alongside goals from Gert Dörfel and a Léon Walker own goal. The two clubs weren’t strangers; we’d met three times almost a decade earlier in friendlies. In April 1951 we lost 3-1 in Hamburg with Les Shannon scoring our goal. 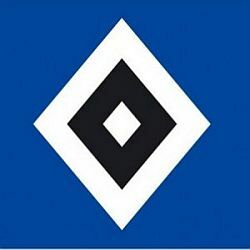 In August of the same year they beat us 2-1 at Turf Moor when Jimmy McIlroy scored but in April 1952 we returned to Hamburg and won 5-1 with goals from Shannon(2), Albert Cheesebrough(2) and Billy Elliott. The draw was made in early December with the fixtures set to be played in January and March, the first leg to be played at Turf Moor.